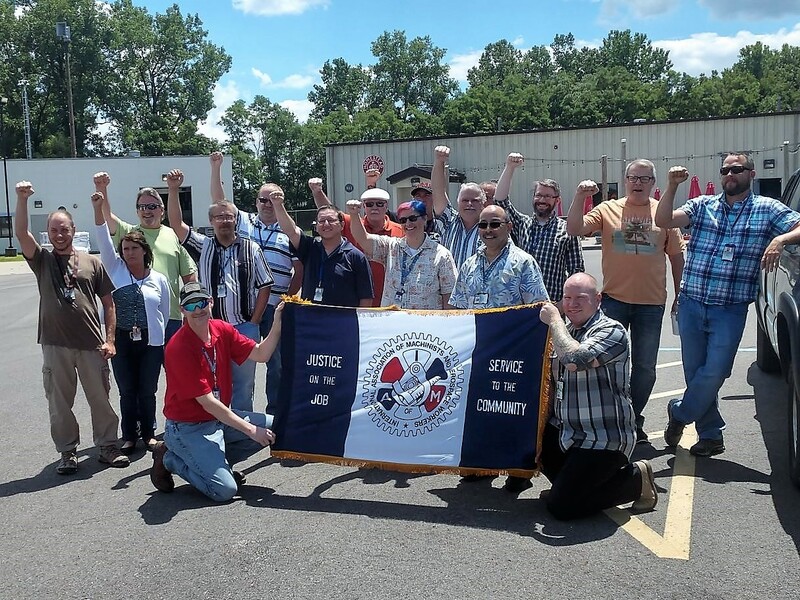 Sixty-one Engineering Technicians, Computer Operators, Technical Writers, Drafters and Clerks at The Bionetics Corporation in Heath, Ohio recently voted to join the IAM. The 61 new District 54 members fall under the Service Contract Act (SCA) guidelines, which allows for wages, benefits and working conditions to be set by union bargaining, replacing previously established wages and benefits under Area Wage Determination. District Lodge 54 has several SCA contracts. The IAM represents more SCA employees than any other union in North America and is fully committed and pledges its support to better the wages, benefits, and working conditions of the employees at The Bionetics Corporation. District Lodge 54’s headquartered in Columbus, OH and represents 14,000 members in Ohio, West Virginia and Northeastern Indiana.